Occasionally, as an editor, you come across a novel that really shines. Joanna Campbell’s debut, Tying Down the Lion (published on 15 June by Brick Lane Publishing) is one such novel. It came to me through Cornerstones (the consultancy for whom I freelance) and, from the very first page, the characters reeled me in. I found myself caught up in the exploits of a family on a quest (and a road trip) to Berlin. The book is a wonderful evocation of 1970s suburban British life, an exploration of cross-cultural politics and an exploration of the joys and complexities of family life. Joanna has already had a number of short story writing successes: a collection of her short stories was shortlisted for the 2012 Flannery O’Connor Award. 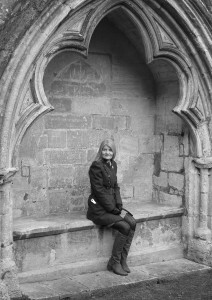 In 2013 she came second in the William Trevor/Elizabeth Bowen International Short Story Competition and she has been shortlisted five times for the Bridport Prize. I’m delighted that she has found success in longer-form fiction too. 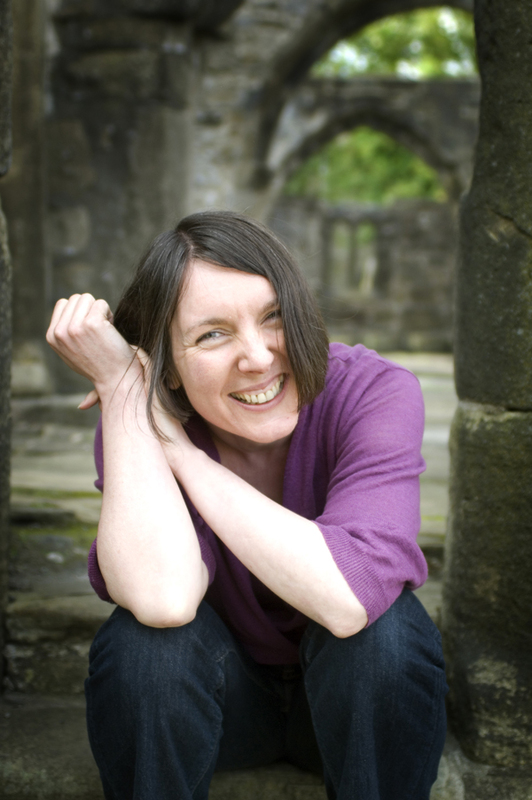 Here she talks about short stories, novels and the importance of sleep! You write short stories, as well as novels. Can you talk us through the difference in process between the short and long forms of fiction? With short stories I tease out the essence of the characters within a moment in their lives, as if studying a blurred still from an ancient cine film. Capturing and pinning my people down is an intense process, like sifting through the chaos of a stranger’s dream. With novels there is time to follow the characters further, exploring diversions and detours, delving deeper into their past. The short story is the more painful and exhausting process because it is so concentrated. Arranging the words is like separating an egg, hoping to keep the white pure and unadulterated for the perfect meringue. The yolk can be saved for another time, a provision perhaps for a new story or a novel. Which part of the writing process do you enjoy most? And least? I love every single stage from initial idea to editing. When I begin a new piece, I do find the blank screen a little daunting, but it is a thrilling, self-imposed kind of intimidation. I enjoy the variety of the writing life; for example, spending part of a day immersed in new ideas and the rest fine-tuning a chapter or polishing a completed scene. What motivates you most when you’re writing? Always, without exception, the characters themselves motivate me. Once I have invented them, they keep pulling me back to my desk. When they are well-established, my chief incentive becomes the wish to entertain the reader, who is another fictional person living inside me. Not an inner critic as such, but someone waiting for the writing to stir his emotions. Tying Down the Lion is a story primarily about family, though it also touches on the politics of the East/West Berlin divide. Were you conscious, when you were writing the novel, of this interplay between public and private? I became conscious of this interaction only once the Bishop family had taken shape on the page. In the beginning, I focused mainly on their life at home in order to discover who they were and how they interacted. As soon as Berlin rose up in the background, I saw how the family’s rifts and ruptures were reflecting the wider picture. It became vital to see them on the road—an opportunity to put their family ties to the test and therefore more exciting for the reader. As I was drawn into the Bishops’ story, the parallels began writing themselves and I became aware of them all only when I re-read the novel. The characters in your novel are exceptionally well-drawn. Do you have a method for character development? Do you spend a lot of time thinking and planning or do you tend to dive straight in? Thank you, Rachel. Everything I write is character-driven and I plunge in at the deep end without testing the water. Despite the huge presence of Berlin, Tying Down The Lion is about ordinary people. I tend to store fragments of everyone I meet, read about or just observe in passing. As a child I would never speak to anyone, but absorbed everything they said, as well as their mannerisms and patterns of speech. When I visited relatives with my parents and brother, I fell suddenly silent for hours, then exploded like a Doodlebug in the car going home, retelling the entire day and reciting the twists and turns of the conversations. I was always obsessed with how people behaved; the way they laughed when nothing was funny—even at a wake, how they cared as passionately about neighbours’ carbuncles as they did about the price of petrol, and why they always interrupted and finished each other’s sentences. Tell us about your experience of editing Tying Down the Lion. How much did you cut or keep? What fundamental things changed between drafts? After I sent the first draft to Cornerstones and you read the novel, Rachel, I began to see the wood for the trees. I realised I must take the Bishops out of their home and launch them on their journey much earlier in the novel—I had written over a hundred and fifty pages with them still straining at the leash, raring to go. I could see how exasperating it was for the reader, waiting to travel with this family on their dream trip, while their plans constantly shifted and stalled. I cut out thirty-five thousand words, axed one of the characters and set off to Berlin on page sixty-five, but still the build-up was too long-drawn-out and frustrating! Finally, there was only one option left—I began the journey on page one. It was such a relief. It felt like having a cooked pie instead of a lump of raw dough. The editing experience has taught me not to fear leaping straight into the main action of the story. Having learnt to roll out the tarmac first, I was able to paint in the scenery as we drove along. And how have you found the experience of marketing and promotion? Are there any bits that you particularly like or loathe? I have a small presence within social media, but it doesn’t come naturally to me. I enjoy Twitter the most, especially the challenge of trying to say something worthwhile in so few words. It reminds me of flash-fiction, another form of writing I enjoy. I honestly don’t think I could promote a glass of iced water to a man stranded in the desert. (For example, in answer to your question about short stories, I probably should have added that I have a collection being published this year.) I love taking part in interviews like this, but I am not good at putting out unsolicited information about myself. I need to be invited, otherwise I’m afraid of seeming presumptuous. You’re working on another novel at the moment. Can you tell us a bit about it? Yes, I am having a wonderful time with another family, but this time they have been hit by an enormous tragedy—which takes place on page one! The fall-out from this dreadful event affects each character in a different way, but its main outcome is twofold: the thirst for revenge and the pursuit of love. I am writing this novel from several viewpoints, which is a gift for me because every time I start a new chapter, it feels like a fresh short story. The crucial time will begin when I stitch them together—seamlessly, I hope. Name your favourite time off activity. Sleeping! I start writing at five in the morning, too restless to be prone any longer, so my few hours of rest are quite precious. We have a miniature Shetland and an extremely irritable Irish pony, neither of whom are suitable for riding, but they desperately needed a home. I love them very much and enjoy the twice-daily walk through the village to visit them. And the time spent with my husband and three daughters is magical, mainly because we make each other laugh. Where would you like to be in five years time? And in ten? In five years, I hope to be where I am now; sitting at my desk and playing with words. That would be heaven. It would be marvellous if one or two more novels could be published by then and, more than anything, I hope my words will have entertained a few people and that the characters will linger in their minds. In ten years, I hope to be an experienced writer of several novels whose bones don’t creak too loudly in the chilly dawn. I would love to tell her to carry on being herself. I believe that when we are children, we are unashamedly ourselves, without a trace of inhibition or pretence. But adolescence seems to introduce a sense of needing to change, to impress and to fit in with other people’s expectations. In my late teens, I became ashamed of being quiet and shy when I should have celebrated it. My hermit tendency is conducive to being a writer. And observing people, rather than pretending to be sociable and gregarious, is useful fodder for story-telling. If I had remained true to myself, perhaps I would have begun writing sooner. Now I am in my fifties, I am far closer to being the person I was as a child, someone I lost when I started growing up. Thank you very much, Rachel, for giving me the opportunity to answer some really thought-provoking questions. 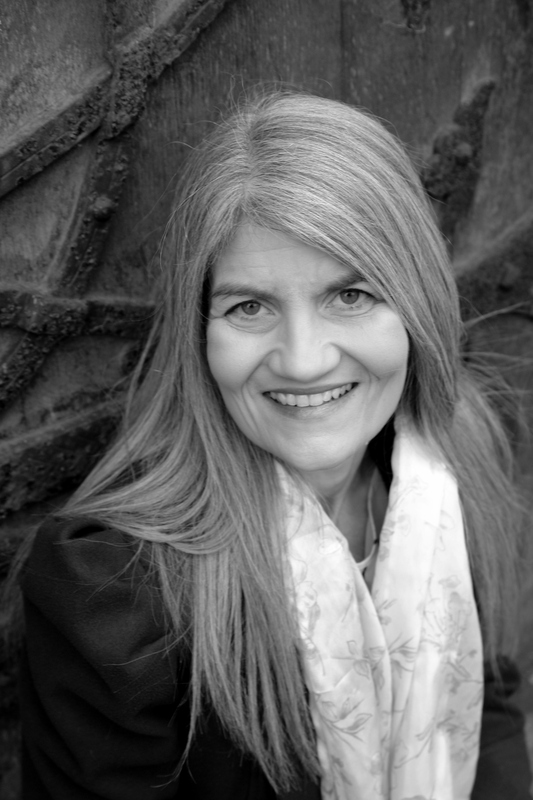 To find out more about Joanna’s work, you can visit her website and blog. You can also follow her on Twitter (@PygmyProse) and Facebook. 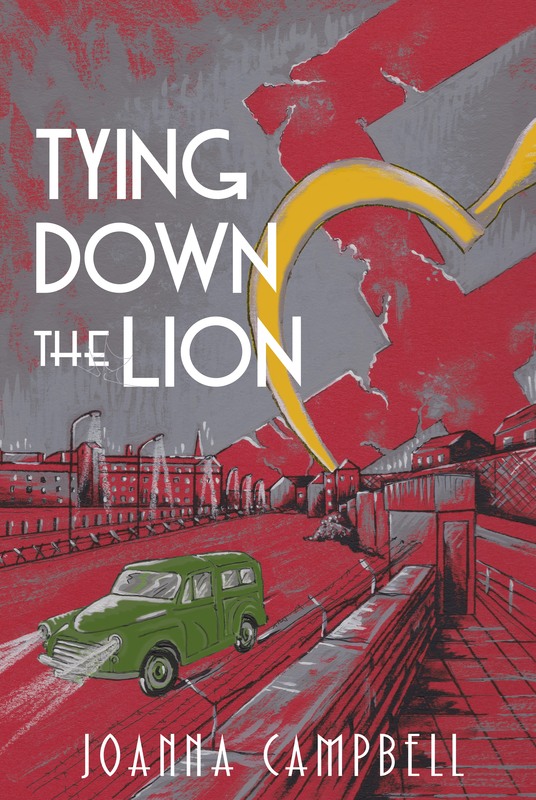 Tying Down the Lion is available from 15 June from Brick Lane Publishing as well as from Amazon. What a fabulous in-depth interview. I so enjoyed reading more about the journey of your book, Joanna, and the way in which you craft the answers is lovely. I was intrigued to see how much you had to cut out to start the story at the right place. All the very best with Tying Down the Lion. So glad you enjoyed it, Tracy and Rosemary. Thanks for reading! Joanna, you are very welcome. You were a delight to work with. Congratulations again, and I’m so thrilled to see it in print! Well done.